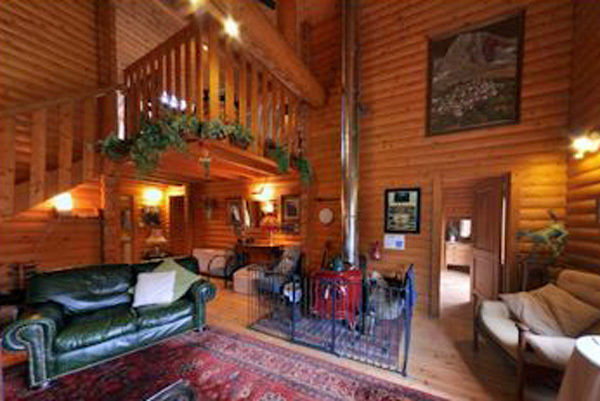 The Logs is a six bedroomed detached Norwegian log house situated 3 miles north of Fort William in a quiet rural setting. 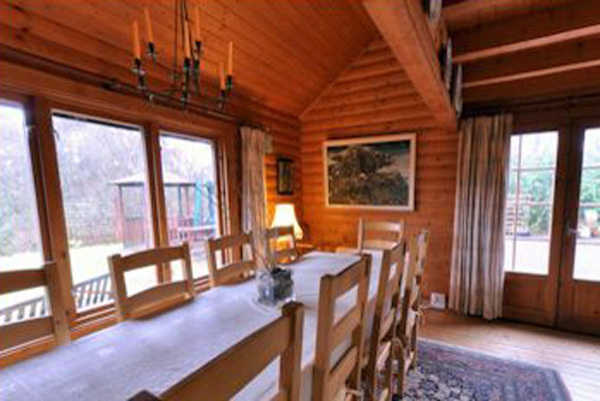 An ideal position for discovering the West Highlands of Scotland and just 3 miles from Nevis Range. 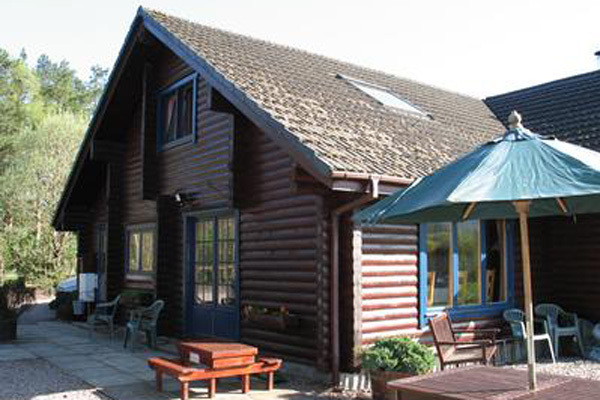 The Logs offers self-catering accommodation of a high standard for up to 10 people. 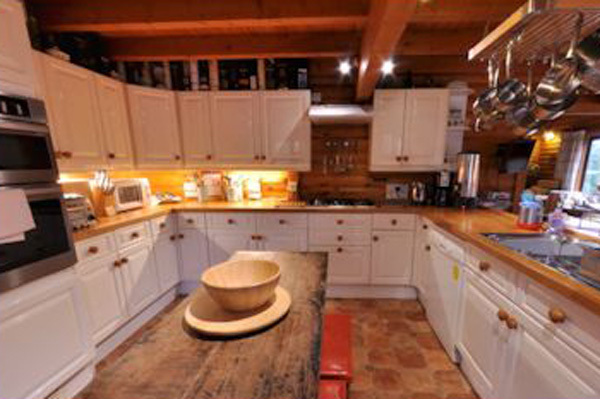 The accommodation consists of a spacious lounge with gallery sitting room over, dining room with large table seating 10, and breakfast kitchen with all the facilities to make you feel at home including gas central heating, a wood burning stove and free WiFi. Outside there is a gazebo with patio heater and BBQ and picnic tables and at the foot of the large, natural garden and patio area are the last remnants of the old Caledonian Pine Forest existent in the area. Prices include all fuel, gas and electricity, plus bed linen, duvets and towels. Please note that we only accept 1 dog per party. Since there is agricultural land with livestock in the vicinity, it is important that the animal is well controlled.